Abby and I have both had the Pacific Northwest on our immediate Travel Bucket List for some time. 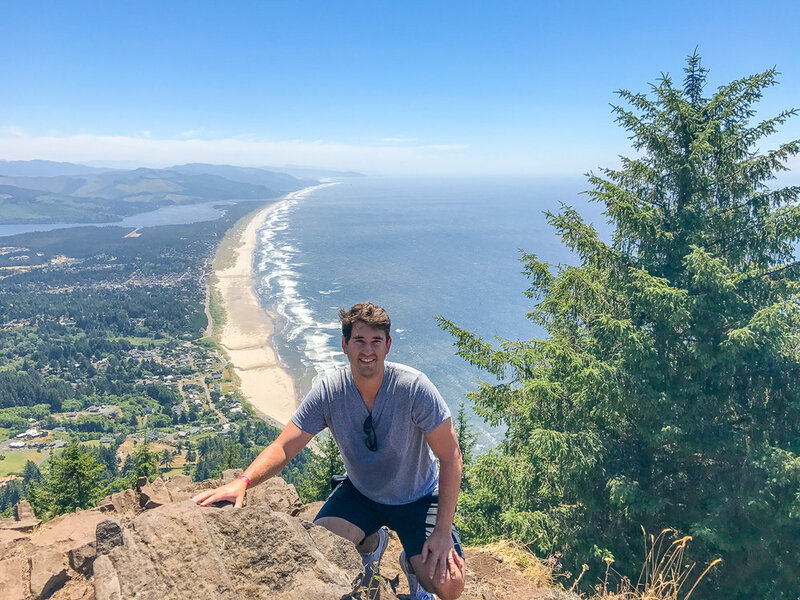 We had envisioned flying into either Vancouver or Portland and driving a rental car straight up or down the coast taking in all the sights and sounds and stopping at every inspirational view while also stopping over in Seattle. From a distance at least, what's not to love. There's great great coffee and countless top notch breweries. You've got mountains and lakes with hiking and trails at each and every exit. There's a coastline with beaches and incredible seafood. And that's not even mentioning the wine country, can someone holler for a Pinot Noir! Randomly, I had the chance to work back to back soccer camps at the University of Portland, which meant I would get almost two weeks in the area, an opportunity I couldn't pass up. Here's some of my highlights from the trip. 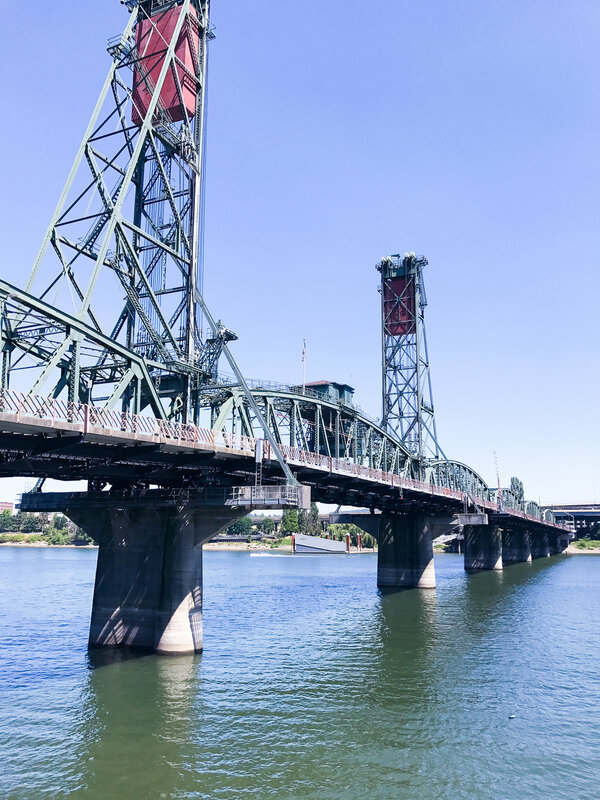 As you continue scrolling through this post you will most certainly notice a few common themes when it comes to my time in Portland: Coffee and Donuts. Life's fuel if you ask me! It just so happens that some of the best variety and quality of both of these favorites of mine derive their origin in the Rose City. 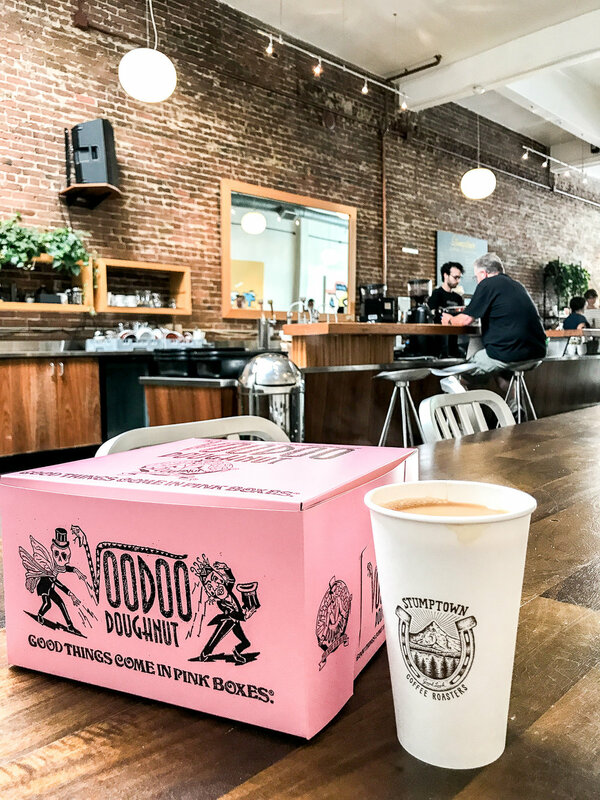 Stumptown Coffee Roasters for one is a legend across the country for the quality of its roasting and taste of its product since they opened in 1999. Whether it's a pour over, a cold brew, or a cappuccino, they do it right. 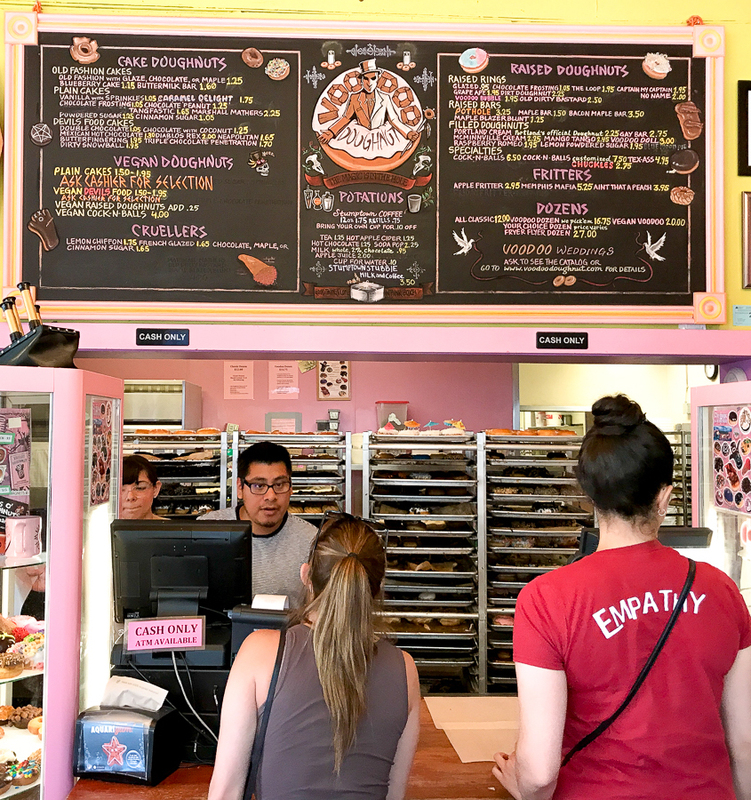 Down the street from Stumptown on 3rd Avenue and adjacent to the Paris Theatre is Voodoo Donuts, the funkiest donut shop you'll ever see with a cult following to match. They serve your traditional donuts (like my selection below) but specialize in their crazy mix and match combinations. Offerings like "The Mango Tango" and "Oh Captain My Captain" and "The Grape Ape" will never let anyone down. 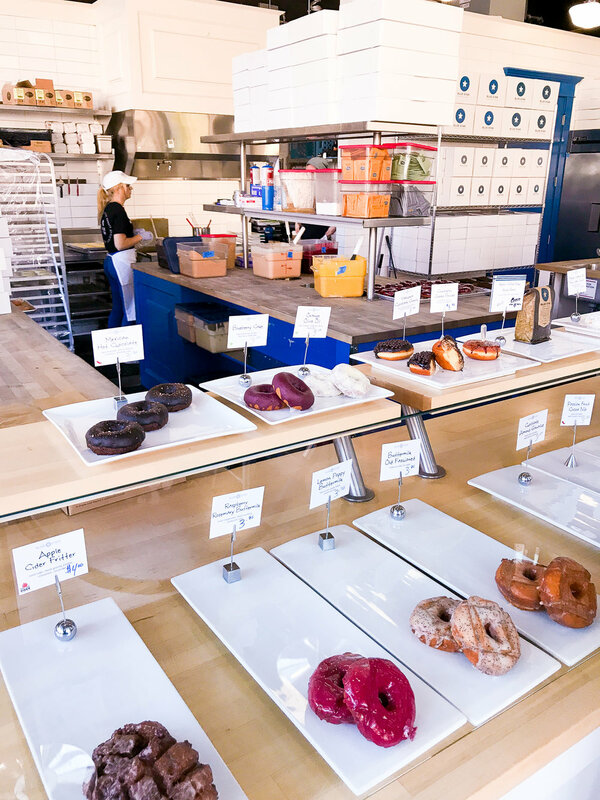 There's always a line so you'll have plenty of time to decide; however, the biggest mistake you can make is ordering anything less than 3 donuts. Trust me! Why indulge in one delicious thing when you can combine the two. My recommendation is to grab your donuts and walk the 300 feet up the sidewalk to Stumptown Coffee and enjoy the two together. Whenever I travel it's so interesting to get a feeling for the neighborhoods that make up a city. Each has its own rhythm and nuance, expressing its own version of the city it helps define. My first night in Portland I stayed in the Nob Hill area of town, and if there's one aspect of my brief time here that I won't soon forget, it's the colorful victorian houses. They truly seem like they've been plucked right out of a cartoon or children's book. With Forest Park and the Japanese Gardens close by you're not far from outdoor activities either. While in this area grab a tasty sandwich at the intimate and 'divey' bar off 21st and Hoyt called Muu-Muu's. After that grab a coffee at World Cup Coffee & Tea on Glisan Street. One of my favorite neighborhoods in Portland was hands down the Pearl District. With the converted warehouses and numerous eating and shopping options this was a hip area for sure. There's countless brewpubs, coffee shops, an awesome bookstore, dozens of boutiques, some theaters, and one of the best slices of pizza I've had in a long time. It's an area that can keep you occupied for an entire day without question. Best café latte in town has to be at Barista in the Pearl District. Just next door you can find some much needed hiking boots at Keen. Don't make the mistake I made and think you can handle a hike no problem in your white converse sneakers. Powell's Books is a Portland institution and self proclaimed 'world's largest independent bookstore. They sell both new and used books over three floors of wall to wall pages. The store itself actually occupies an entire city block... HUGE! Come in to find your next page turner or browse around for hours on end. Standard Portland, there's a café attached with a quality selection of coffee and tea. With a motto like 'Eat Pizza Everyday' you know I was sold from the get go. 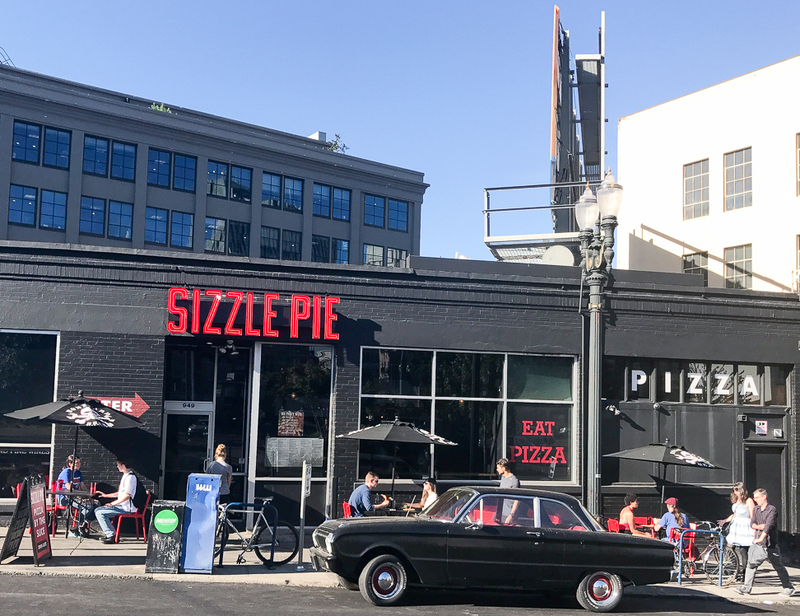 I actually stopped by Sizzle Pie the minute they opened at 11am and had my choice of a scrumptious variety of pies. Whenever I go to a new pizza place I live by the idea: 'get one slice you know you'll like and then pick another slice that's a little bit adventurous.' Certainly words to live by, so I went with a pepperoni and then a 'white walker' slice, which was a white pizza with garlic, feta, and spinach...Dynamite! Another great find in this part of town is Heart Roasters, which has a very minimalist feel but their coffee is top notch. I had a pour over of the "La Esmeralda" roast and I don't regret that at all. As per usual in my time in Portland, if there's a donut shop nearby I simply had to stop in. If Voodoo Donuts is rock & roll then Blue Star Donuts is more contemporary jazz. There's no gimmicks or loud colors and the quality is something you can always count on with a wide enough variety of inventive concoctions to leave you satisfied and wanting more. I suggest you try both establishments and make your own mind up, or if you're like me you LOVE them both! My choice for an adult beverage stop was 10 Barrel Brewing Company. They have one of the best roof decks in Portland so grab your 10 beer flight and head up the stairs for some excellent people watching. 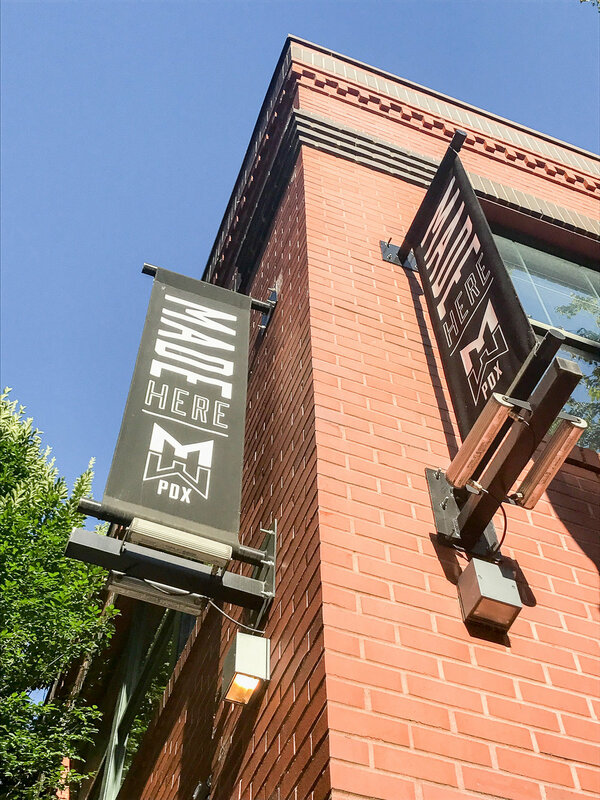 Also nearby options if you want to make it a 'crawl' are: Deschutes Brewery, Fat Head's Brewery, and Rogue Distillery & Public House. Tucked in the middle of downtown Portland, Lan Su Chinese Garden, is an incredible oasis of nature, beauty, and tranquility. You certainly forget that you're in the middle of an urban city. They offer tours of the garden and also have a tea room. In addition they offer a range of cultural classes and activities, such as calligraphy and tai chi. Bring a book or catch a cat nap here. If you're in the Pacific Northwest, it's mandatory to experience some sort of outdoor activity or adventure. Options are unlimited and so excuses are impossible. Just outside Portland (30 minutes) is Multnomah Falls, a 620 foot waterfall that can be viewed from the top after a mile and a half hike or from the bottom if you like. It's the largest waterfall in Oregon and second largest in the nation. The views of the Columbia River are pretty captavting as well. With an entire day off from work I took the initiative and rented a car, set on seeing Oregon's coast for myself. Best decision! 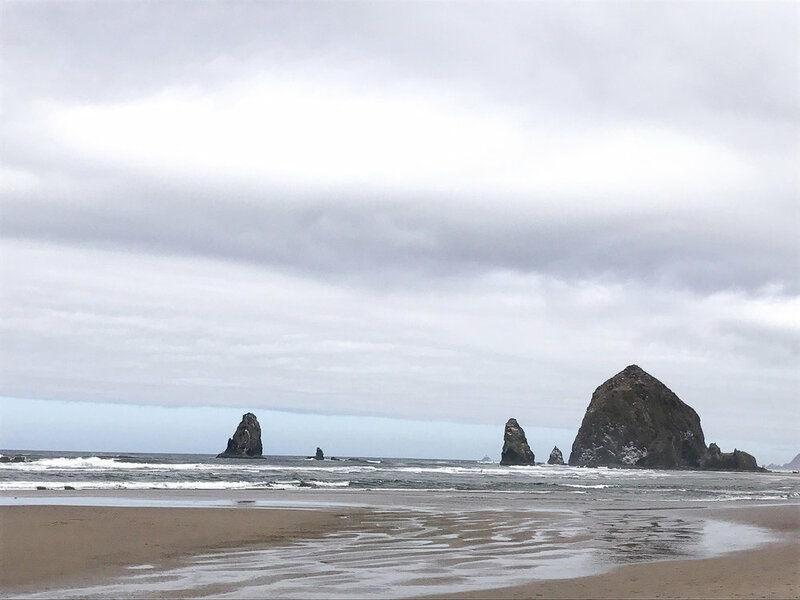 It depends on who you talk to for recommendations and preferences on specific beaches or towns that are worth seeing, but I found that Cannon Beach and Manzanita were both great choices. The bonus was that if you are driving from Portland and and start at one of these then on your way to the other you get the benefit of driving down the scenic Oregon Coast Highway. I hit the road early and headed straight for the famous Haystack Rock at Cannon Beach, a sight most splendidly appreciated at dusk or dawn if you ask me. Unfortunately for me the weather wasn't the greatest and so some of the colors weren't as visible. Nonetheless, this beach, with its natural rock wonders, was still a magical sight to see. It truly feels like a Monet painting as you gaze onto the landscape. The rocks jutting right out of the water with the horizon in the background and the sand in the foreground. 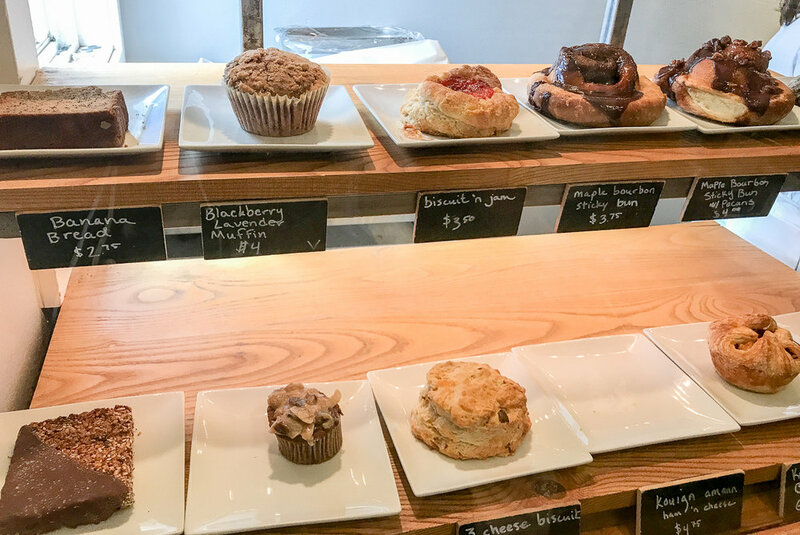 If you get there early like me, then there's only one spot for a pastry and jolt of caffeine and that's Sea Level Bakery & Coffee. 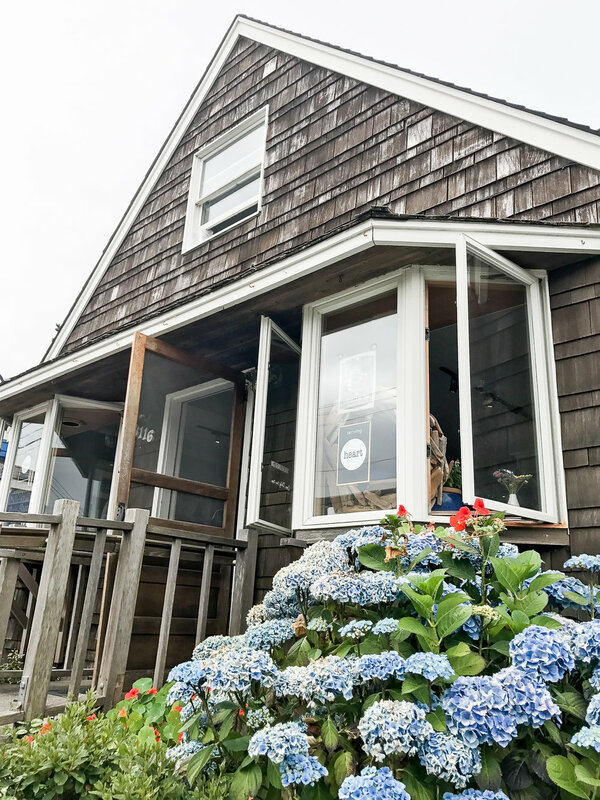 There's nothing like a warm cup of coffee with a beach side view. The pastries also help. If you're there in the afternoon or evening then Mo's is the place for you, CLAM CHOWDER! After my tour of Cannon Beach I hopped in the car and hit the coastal highway. A friend of mine suggested stopping off to do some hiking at Neahkahnie Mountain Trail on the way to Manzanita. He mentioned it was a decent hike, but there would be a pretty cool view at the top. Man did he undersell that! It took me about an hour and a half to get up, grant it I was wearing converse sneakers, and about an hour to get down. Certainly take your time and definitely bring some water or even a snack as some people actually pickniced at the top. Over the course of my stay, I really found myself develop a genuine fondness for Portland and the Pacific Northwest culture. There's such an emphasis on both the quality of life and the spirit of adventure. I love how there's a sense of honest satisfaction in making things as simple as coffee and donuts well (amongst other things). So grab your hiking boots and bring your appetite because now is the time to have a Portland experience. I've got my working list of Portland favorites below but am itching to get back asap. Any NEW suggestions out there?